As businesses around the world are moving more and more of their advertising budgets towards performance marketing, they pay more attention to conversion rates for mobile traffic and are falling in love with video-enabled ads. Yandex not only observes these same trends in Russian market, but is helping shape them. We asked Bernard Lukey what tools Yandex offers its clients to achieve their goals and respond to global trends, which industries yield the biggest revenues from their business in Russia, and which areas are still developing. Lukey joined Yandex in January 2012 to help create and run Yandex's national Sales Division, and opened a new office in Lucerne, Switzerland to manage their European customer base. Prior to Yandex, Bernard served as CEO of Russia's largest online store, OZON.ru, from 2005 to 2011. Bernard holds an MA degree in Political Science from Lausanne University, attended executive trainings in IMD and Singularity University, serves on several different Boards and is member of the Young President Organization (YPO.org). He is also an Advisory Board member of the Jean Monnet Foundation for Europe. How is customer behavior changing and what is currently important for modern customers? How does Yandex respond to these demands? In terms of digital advertising, today's customers focus on performance. The more developed and technologically advanced these advertisers are, the better ability they have to track performance at a very detailed level. Western customers, mostly the biggest ones, also want to have a direct relation to us — they want to be directly integrated with Yandex Direct without API, making auto-bids on Yandex. The performance of their campaigns is very much related to the bid level and they want to be able to change these bids very quickly depending on the reaction of customers. 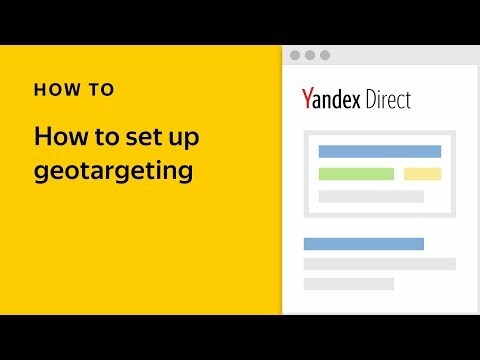 How is Yandex allowing them to reach their performance targets? Every day Yandex processes tens of millions of search queries and content website pages, including searches for products and services. In relation to the high search volume, we have significant amount of data that can be utilized for advanced targeting capabilities. With highly targeted ads, we help our advertisers reach relevant users. In your opinion, what role does the Russian market play for foreign advertisers? In which areas would you say that European business is currently either underdeveloped or promising? Ecommerce or cross-border ecommerce has a lot of room for growth. We have very big players in fashion and other areas that see significant revenues from Russia, but there are still many players who haven't entered the Russian market. This is a big opportunity due to the expected growth in ecommerce locally. By the year 2021, the number of online shoppers in Russia is expected to increase by 10 million. ** Currently, the biggest players are the Chinese companies Aliexpress and JD.com, but we also work with large European companies and we expect more activity from the West. Currently, companies such as Bonprix.com, Yoox.com and Asos.com are good examples of successful European companies that have built solid businesses in Russia with our help. How are European advertisers taking advantage of advertising technology in the Russian market? In Europe, we have both Yandex experts, who have taken courses to learn our platform and fully utilize our technologies, and long-time customers, who are familiar with our advertising services and product features. Yandex tools make it possible for advertisers to translate their success in the West to Russia. Advertisers who are new to the Russian market often assume that they won't have access to the same tools they use in the West but our platform offers precise targeting, remarketing and geotargeting-based advertising among other solutions. In which direction do you see the Russian advertising market developing? What are the main trends right now? The main trend is performance marketing. Previously, a significant amount of budget was allocated to very simple CPM-based campaigns or even offline ads but it is now moving to performance marketing. This has been happening all over the world, and now it is happening in Russia too. The second big trend is converting mobile traffic. And the third, I would say, is the addition of video-enabled ads, which actually have higher conversion rates and represent strong growth potential for the market. How is Yandex leading the way on these trends? Yandex provides powerful performance tools, such as smart banners. 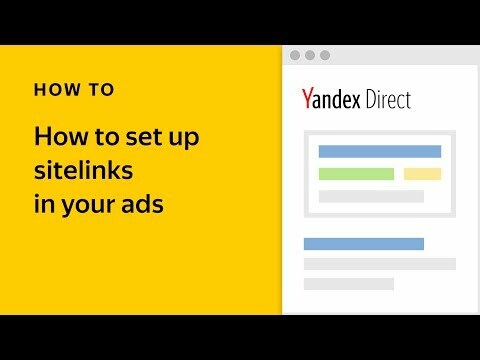 Yandex.Direct analyzes your product list and automatically generates a smart banner and separate ads for each product offering to display in the ad networks. Smart banners with dynamic retargeting “catch” visitors who left your site without making a purchase, by advertising special offers in product categories that interest them and encourage them to return to your site and complete their purchase. Smart banners have completely changed advertisers' attitudes towards our network — they now have more advanced tools that help them use our network much more efficiently and effectively. In contrast to Western markets that have been mobile for some time, the Russian market is now shifting to mobile. Currently, about 45% of user traffic is generated from mobile devices, based on data of Yandex.Radar. At Yandex we have developed mobile ads and expanded our partnership network. These changes have enabled our partners to find their core audience on multiple platforms including mobile platforms. As for video-enabled ads, Yandex has created video extensions by default — video ads are automatically generated from simple images. They have proven to be a great solution for raising brand awareness while also complimenting performance campaigns without any video production budgets. In your opinion, which myths about the Russian market is it time for us to dispel? The difficulties of entering and mastering the Russian market are exaggerated. 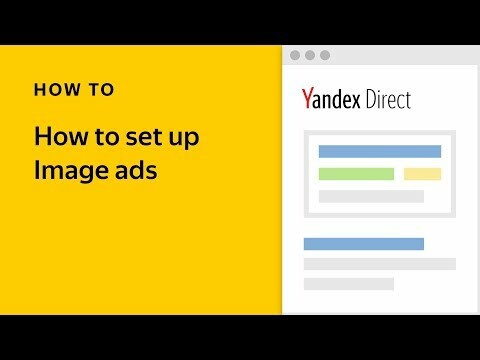 At Yandex we uniquely offer account managers to our international clients to ensure advertisers maximize all of the benefits our ad platform offers. We also invite clients to expert training to educate them on our tools. Previously, some of our terminology differed from traditional language in the industry but we have made many updates to help international advertisers transition to our platform. If you work with Yandex, we take most of the workload of launching your first digital campaigns in Russia, provide support with media plans, personalized recommendations and close account management. We also perform regular campaign audits to further improve campaigns' performance. On top of that, to simplify working with us we offer US and European companies the ability to work with Yandex via our US entity (Yandex Inc.) and via our Swiss entity (Yandex Europe AG). What can Yandex offer European advertisers? Yandex offers advertisers a partnership with a company that is the absolute leader in a digital arena in Russia. We know the local audience very well and provide both users and advertisers with the most advanced localized solutions. We are able to do this with the help of our tens of thousands partners, so if you want to reach an audience of Russian publishers with CPC-based targeted advertising, you have come to the right place. Yandex recently announced the development concept of autopilot marketing. What is the essence of it? What does it mean for markets outside of Russia? Autopilot marketing addresses the complexity and numerousness of campaigns — we are offering more automated strategies for bidding decisions and keyword selection. The job of the account manager on the client's side is slightly changing from running accounts manually to modifying and monitoring the performance of automatic strategies. Autopilot marketing doesn't mean that we do everything ourselves. It means that the amount of data involved in selecting and managing bids and keywords is overwhelming, so we employ new advanced tools to manage a big part of the process. This is a future of marketing. Can you give an example of international clients' success stories, and tell about your experience working with them? For some fast-developing internet projects, the Russian market is becoming incredibly important. For example, Russia is the biggest traffic source in the world for Booking.com. *** This is why we work very closely with all our major customers, involving them as much as possible in the further development of our products and jointly monitoring their progress in Russia. Why do you organize the YES conference? We invest a lot in supporting our clients. The Yandex Expert Summit otherwise known as the YES conference is one of these examples. The summit welcomes advertisers to engage with one another and learn about the latest Yandex advertising updates through presentations by the Yandex product developers themselves. We take this opportunity to work with our advertisers, hear their feedback, and learn how we can improve our products for them. In it's third annual year, the YES conference has continued to become an important event for our advertisers. We set a new record number of participants this year in Berlin — over 100 experts came to spend one day with Yandex and find out the latest Yandex news.